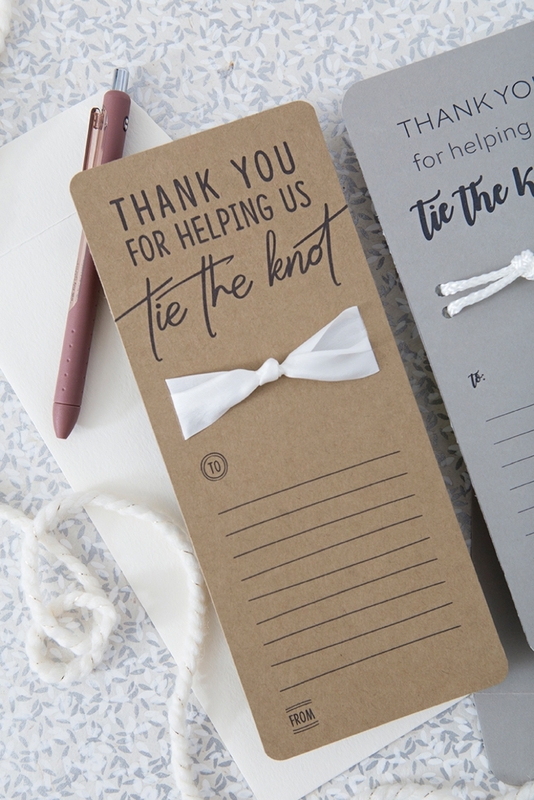 These DIY "Tie The Knot" Wedding Thank You Cards Are The Cutest! Wedding done. Bride to Mrs. No more projects to do or things to plan. Loads of thank you notes to write. 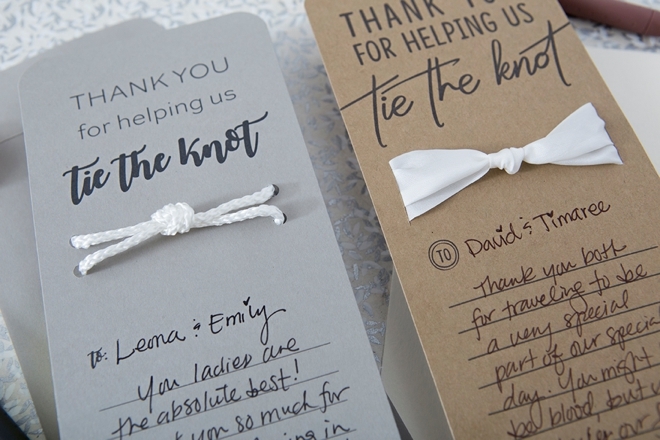 Get over your post-wedding blues with this super sweet DIY thank you card idea! 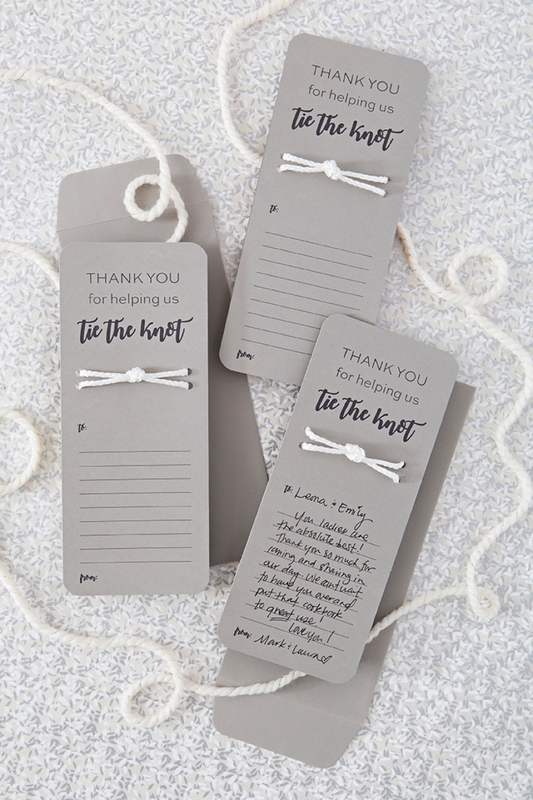 Add your choice of knot to our free printable designs and say thanks for helping us tie the knot in true creative style. Our Canon TS9020 whipped these cards out in no time and the fine detail in the print is simply fabulous. 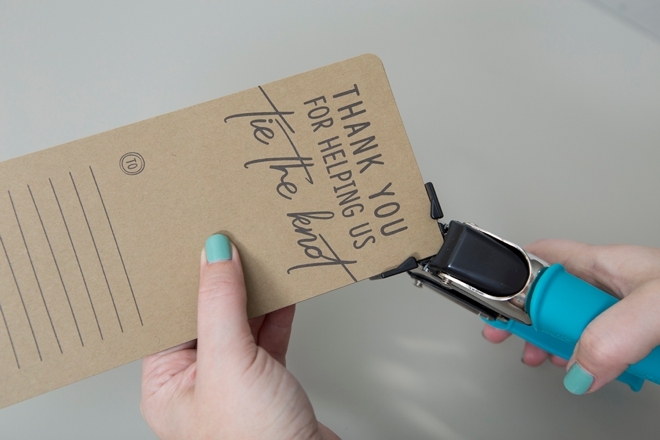 These DIY cuties will up your thank you card game in an instant. Black Friday Alert: The Canon TS9020 is now on sale for only $79.99, that’s $120 off!!! Sale ends 11/27/17! 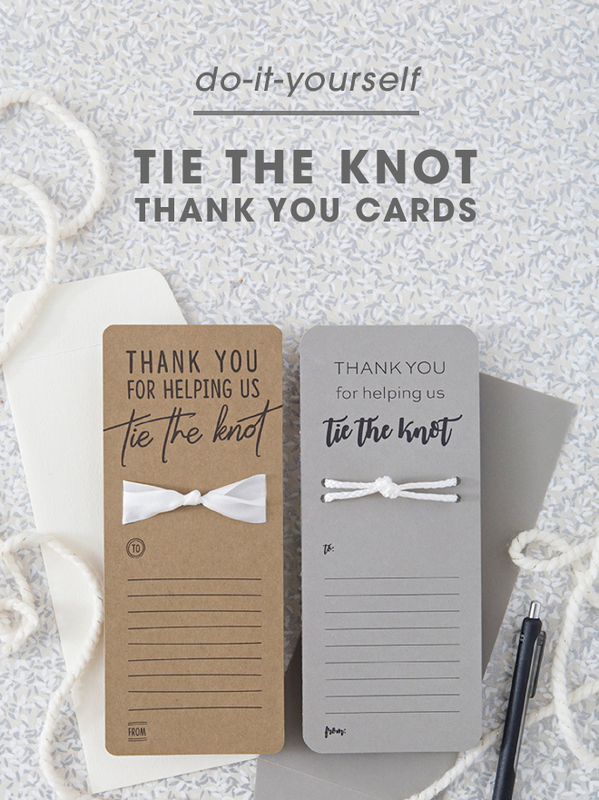 I created these cards so that you could print the black design on any color of paper and add ANY type of knot you’d like! 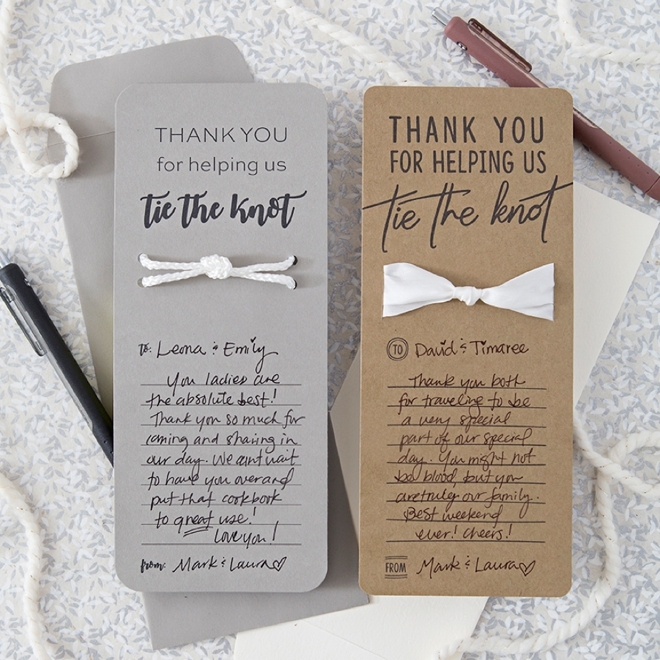 From rope and twine to silk ribbon and fabric – the sky is the limit! At the end of the post you’ll find the download for these two designs. Print on 8.5″ x 11″ cardstock in your choice of color using your Canon TS9020 All-in-One Printer. I love that the TS9020 allows me to choose the type of paper and printing quality; so for this project I did “matte photo paper” on “high” print quality… and that combo makes these cards look professionally printed! Trim on the lines provided, there are two cards per sheet and they cut down to 3 7/8″ x 9 1/4″, sized perfectly for #10 envelopes. 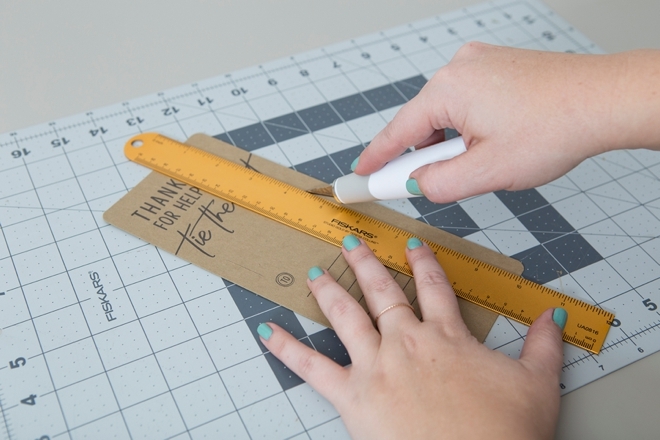 Using your favorite corner punch, round the corners for a little finishing touch. For this card I used 1.5″ silk ribbon, so I cut slits on either side of the card using a craft knife on a cutting mat. The other card idea uses a hole punch and rope instead! 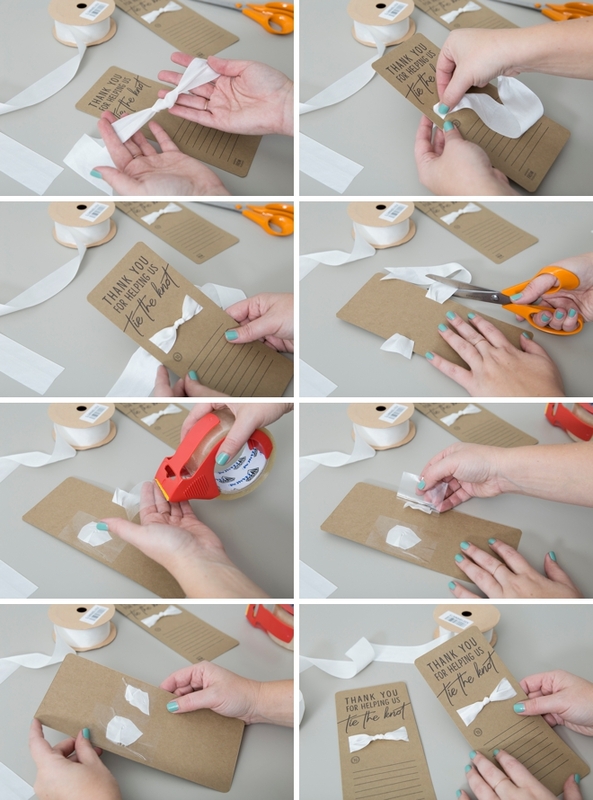 Cut about 9″ or ribbon, rope or the like and then tie a knot in it. Slip each end into the card hole or slit. Trim excess away. 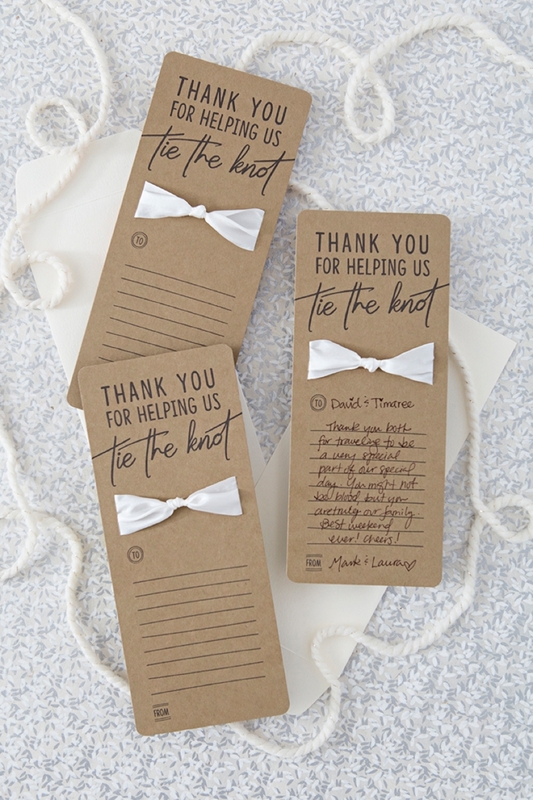 Using clear packaging tape, secure the ribbon/rope on the backside of the card. That’s it, soooo cute! 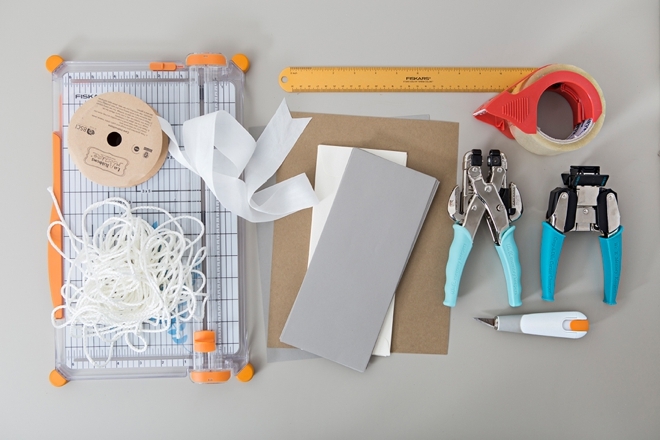 Download the files, print using your Canon printer, trim on the lines provided, hole punch or cut, add a knot and tape! 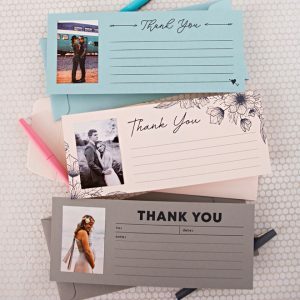 Only a few simple steps to create a super sweet handmade thank you card that your guests will love to receive! 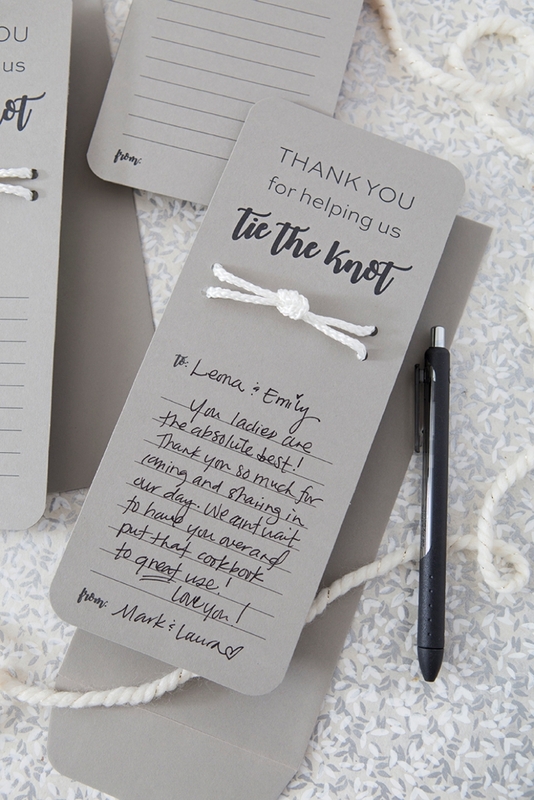 Round out the end of your creative wedding experience with these creative thank yous! 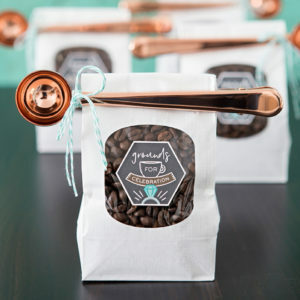 We know the store-bought card is not your style… and so we can’t wait to see your renditions of this darling project. Cheers!